BIRD KNOWLEDGE: Little Life Lessons Learned from Birds is a photography-based e-book for the iPad. 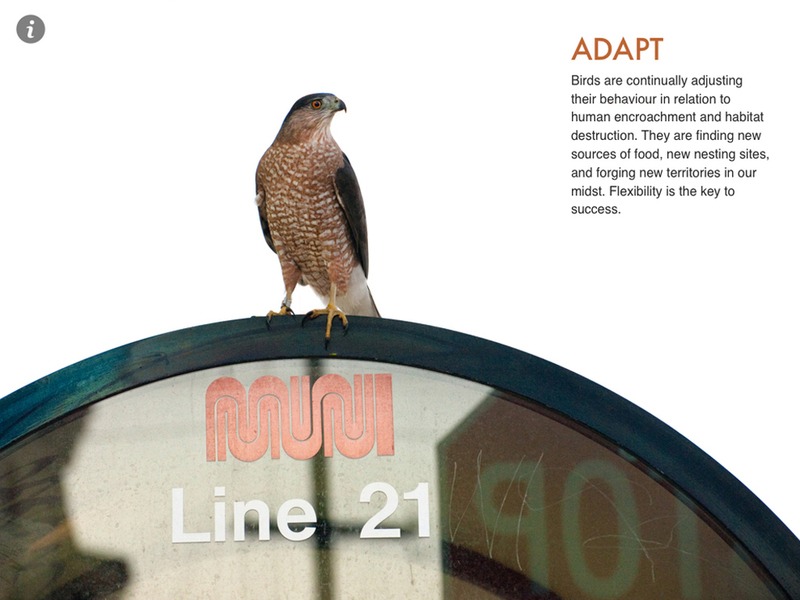 It is an eighty page collection of images and reflections on bird behavior. BIRD KNOWLEDGE is available at the iTunes store for $14.99. Click here to purchase a copy. There are wonderful contributions from Sharon Stiteler (Birdchick), Peter Pyle (author of the Identification Guide to North American Birds), Corey Finger (10,000 Birds), Lynn Schofield (Mercenary Ornithologist), Siobhan Ruck (artist and illustrator of the ID Guide to North American Birds Vol. II), and Keith Hansen (Birds of the Sierra Nevada, Their Natural History, Status and Distribution).